We already know that many of our staff and tenants are already converted to the benefits and pleasures of cycling. 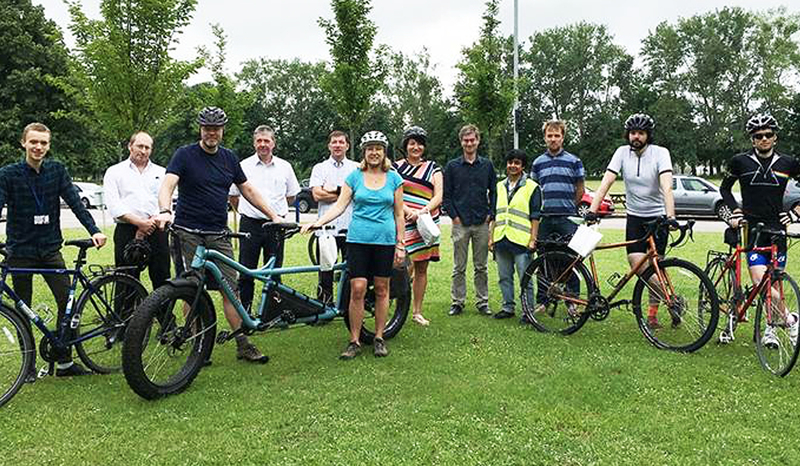 This was shown earlier in the month when they turned out in high numbers (nearly 80 of you) to support our annual Bike to Work event. Including, for the first time, Janice and Mark Cleverly on their tandem. (pictured below with fellow Culham cyclists). In addition to the treats on offer for those taking part this year, there was a draw for a £50 voucher to spend at Mountain Mania. 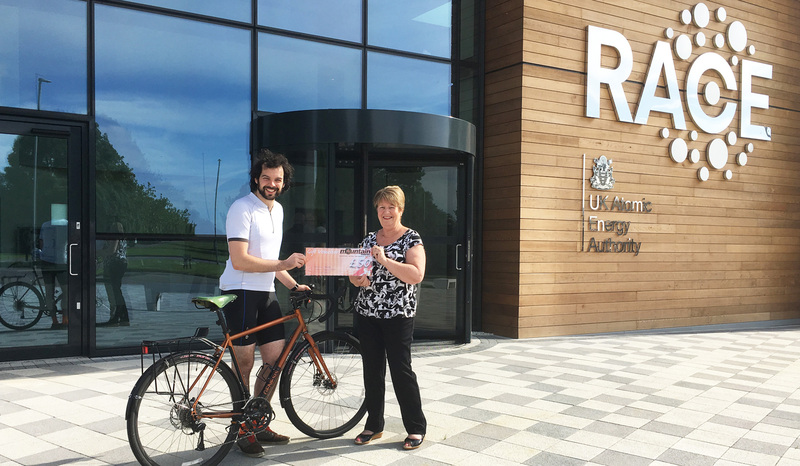 This was won by cycling enthusiast and RACE mechanical engineer Keelan Keogh, who you can see in the main photo receiving his cheque prize from event organiser Anne Tingley (UKAEA Property).